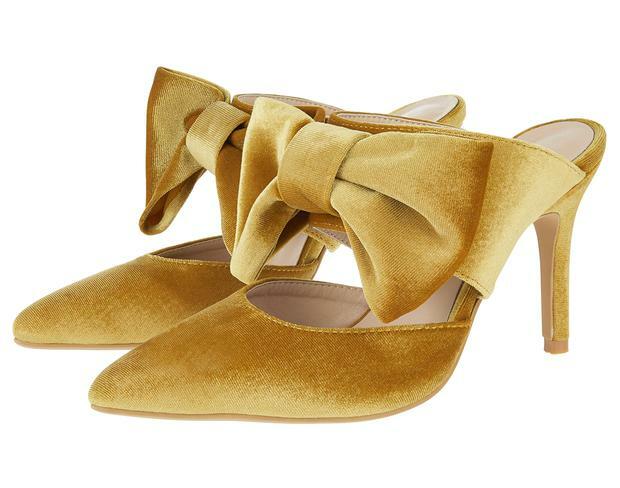 Fret not however as you're sure to have fabulous feet at least with today's edit of the best budget bridal style shoes online and on the high street. Shimmering metallics, elegant rose gold and beautiful big bows are just some of the trends making a statement this season, as is ultra luxe velvets and suedes in an array of strong colours. As always for brides, a beautiful blush is a great way to add some colour to your look, and there are plenty of options in a classic court or sandal. Silver and gold are another solid option, while a classic champagne shade will look elegant any time of the year. The likes of asos and boohoo.com have been a heaven-sent for brides with little time to spare sauntering around in the search for the best budget brogues for their big day, and with so many high street stores jumping on the bridal bandwagon, shopping for occasion wear should, in theory at least(! ), be getting easier. Of course when it comes to your dancing shoes comfort is key, especially if you plan on being in them from morning till night. So if you're opting for a pair of knock-out high street heels make sure you take the time to break in your shoes well in advance before that epic walk down the aisle! Alternatively, check out these five fabulous wedding shoe designers whose footwear is designed with comfort (and style) in mind.